Downing’s Conventional Wellhead System brings you a reliable, cost-effective wellhead solution for a wide variety of surface applications. 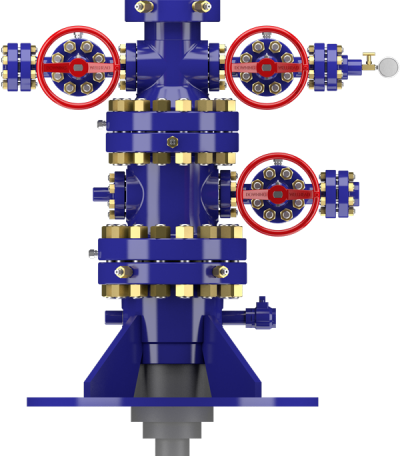 Standardized and easy to install, our API 6A conventional wellhead products feature working pressure rated from 2,000 to 15,000 psi. Because of our U.S.-based manufacturing facility, our team of experts can quickly respond to your wellhead design and manufacturing needs so you can get to production faster. Why Choose a Downing Conventional Wellhead?